After completing the regular Gundam Wing show yesterday evening, me and my family looked forward to seeing the Endless Waltz movie, all day. Mixed results from the SpartanNerd family. This time, the SpartanWife joined in the nerdery. But she just looked at her phone the whole time……So not much to say here. The youngest, SpartanSmurf #2 could not get past the re-designed gundams. That alone threw him. He couldn’t understand that the movie retconned the design of the suits. He’s only 7 years old! 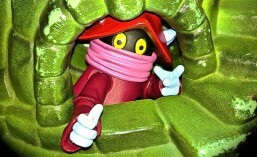 SpartanSmurf #1 was highly critical of the designs. Especially the elaborate Wing Zero. He liked HeavyArms, his favorite, and TallGeese. But the others are just too much for him. He doesn’t know. 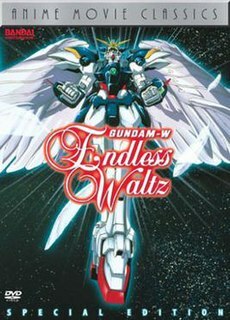 The first time I saw Endless Waltz, (the first time it aired on Cartoon Network,) some serious personal stuff was going on in my life. And this angel really helped me. But aside from that, what’s NOT awesome about his design! It’s a giant robot angel! He DOES know that at one time I had a high grade Wing Zero model, as well as a high grade Deathscythe, both from Endless Waltz. I had kind of an Angel and Devil thing going on on my shelves. But those models bit the dust long ago….Still, he never forgets things like this. One thing about my boys….they miss important stuff because they talk. The youngest missed the entire explanation of what the original Operation Meteor was about. The other asked questions repeatedly, that he would have the answer to if he would just watch! The oldest rejected that the Trowa Barton we all know isn’t the real Trowa Barton, but he stole the HeavyArms and took the real Trowa’s name. He also didn’t get the return of Zechs…..Whose side is he on? And what is the deal with Wufei? On the other hand, to me this wraps it up pretty good. At the end we see what happens to everyone. which brings up the point…. Endless Waltz ends with a bang. That is, the four remaining Gundams are self-detonated, in an effort to rid the world of weapons. SpartanSmurf #1 HATED this ending. He felt cheated. We watch a movie that is less than two hours long, and probably see less than fifteen minutes of Gundam action. This left a bad taste in his mouth. I can’t argue that there isn’t much combat. But what is there is beautifully animated. And the Gundam pilots fight with their same style, just with updated weapons. I told him, though, that he had already watched over 1000 minutes of Gundam Wing cartoons, and that all things must eventually end. I kind of wish that it didn’t end this way. But it does. The Gundams apparently outlived their usefulness. The world became a world of total pacifism. Not because of Releena, nor the Gundams, or other government force, but because the people demanded it. The ending supplied here is complete, and is a modern happy ending. It is just that fan inside that wants more. So we can agree here, somewhat. Anyone out there watching these old relics? How about collecting and making Gundam models or other mechs? Let me know! Fire up the comment machine, people.. This entry was posted in anime, Avatar, Endless Waltz, Gundam WIng. Bookmark the permalink.